Health care sector gets new ideas and innovative thoughts every year, and one of the most accepted and appreciated one is in-home health care. When it comes to offering medical assistance to aged people, there are some restrictions experienced by doctors. Senior citizens prefer in-home health service more because traveling causes problems to them. Sometimes, they are unable to visit a doctor’s office. So, many health organizations are joining the drive to make in-home health care option available for everyone, especially for senior citizens. Many well-known medical practitioners shared their opinion on how to improve the medical availability for the aged people. The common solution raised by them is adopting the in-home care or home-based health services for them. This proves to be the ultimate solution because patients above 60 years age can access the service at their home and can take care of their health properly. They no need to travel here and there for their health check-up. Along with these, doctors are showing interest to keep the cost low for this service so that they can include more and more patients with this program. The medical world comes up with a comprehensive approach to solve all possible restrictions to carry out this home-based healthcare. In a discussion attended by doctors and nurses, some key issues have been pointed out which need urgent attention. They discussed these areas broadly so that in-home health care solution can be introduced to every country. Here are some basic issues that doctors and medical practitioners discussed together. Every country has certain policies and guidelines on how to divide and offer medical facilities. If something new is to be introduced, it must start with redesigning the complete system. Everyone must be aware of the program and serious approaches must be taken for making people educated about the program. There must be a proper education on the in-home health care service so that students and nurses can join the health drive and make it successful. It is important to know how common people will react to the new policy, what their expectations are, and how the in-home healthcare improves their health. There must be a system that will check the quality of services. It must not be avoided. Every team should be guided perfectly. Aging people needs special attention and every company must join the program to offer a quality service. Everyone suggests the cost-effective treatment for the in-home healthcare option. It depends on the healthcare service provider how much they must charge for this service. In-home healthcare service must be designed as per the convenience of patients. At present, nursing curriculums are mainly focused on hospital-based settings. But when nurses are encouraged to offer an in-home healthcare service, they are exposed to more options. It improves the basic medical facility more. Aging people can easily get proper care from the authorized nurses. Before adopting the model, the students for nursing education were familiar with the idea of working in hospitals. With this approach, they can serve people widely. 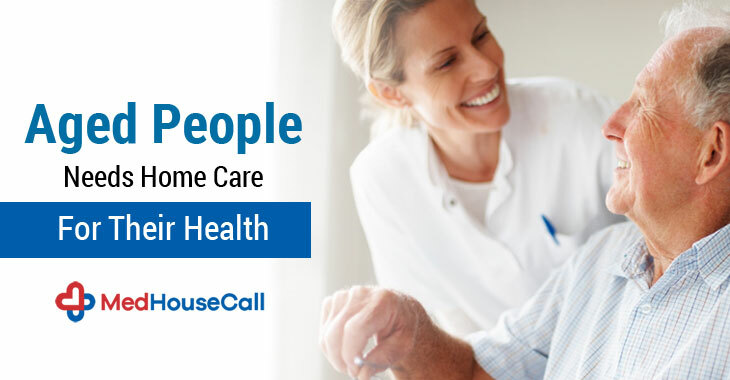 MedHouseCall is one of the few names that embraced home visit doctors and offer an in-home health care service for people of Ontario, Canada. We have a team of specialized doctors who are visiting a patient’s place for the treatment. We are now extending our services in other regions also so that we can include more and more people under this cost-effective home care facility.